Daryl Johnson (Worcester Park, United Kingdom) on 16 December 2016 in Architecture. Shimotsui is also the start point, on the Honshu-side, for the Seto Ohashi suspension bridge. 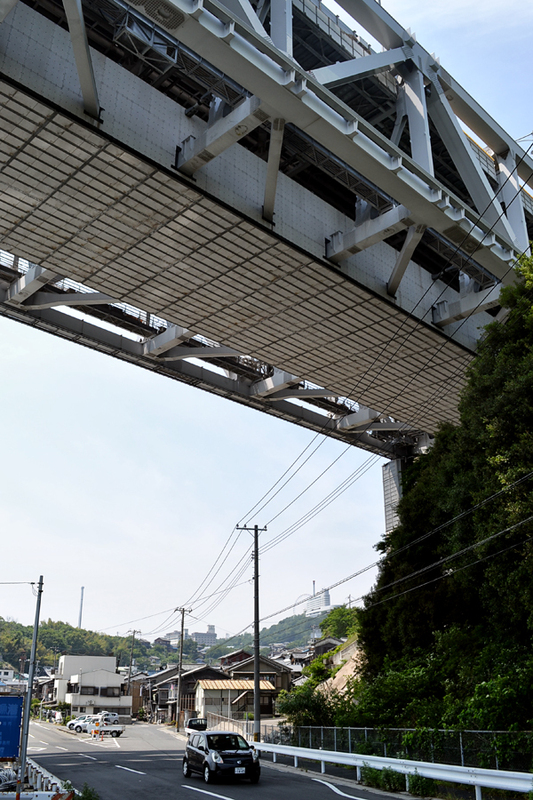 The Seto Ohashi is actually made up of a number of constituent bridges; this section is known as the Shimotsui-Seto Bridge. Cool shot of the bridge and street.